P100. 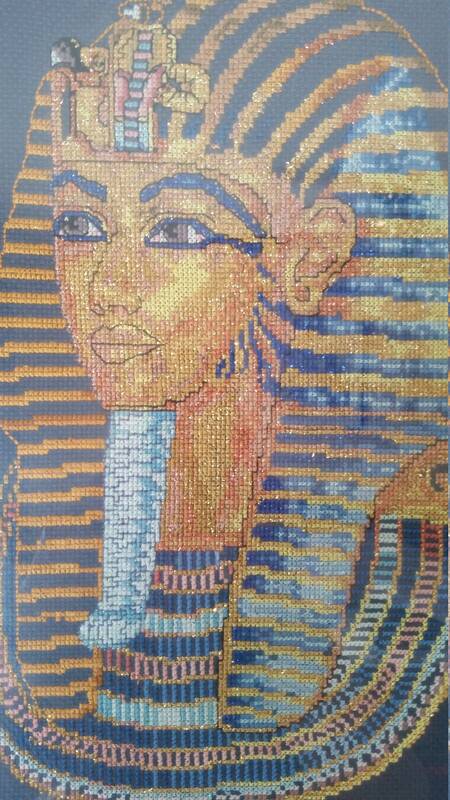 King Tutankhamun finished cross stitch. Beautiful and stunning. 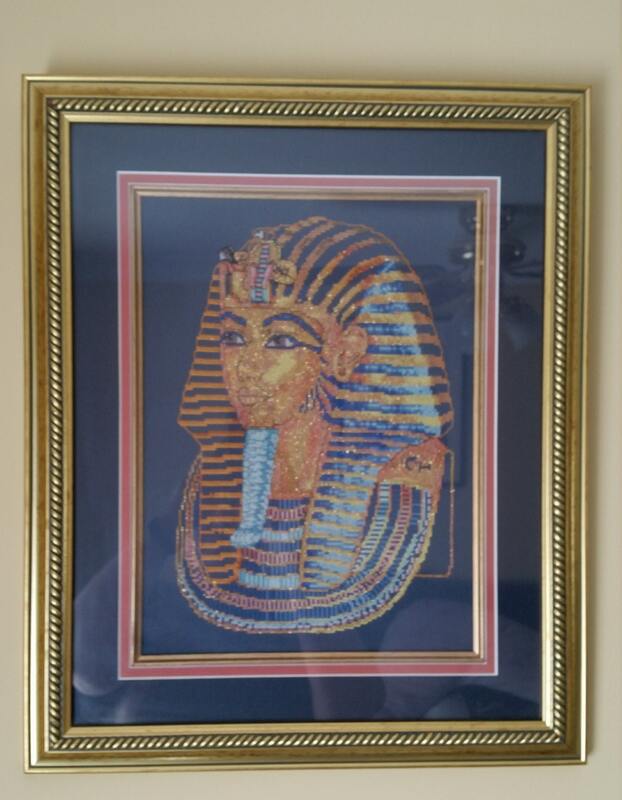 This finished handworked cross stitch is worked with metallic threads and professionally framed. It is double framed and double mounted to really enhance the picture. 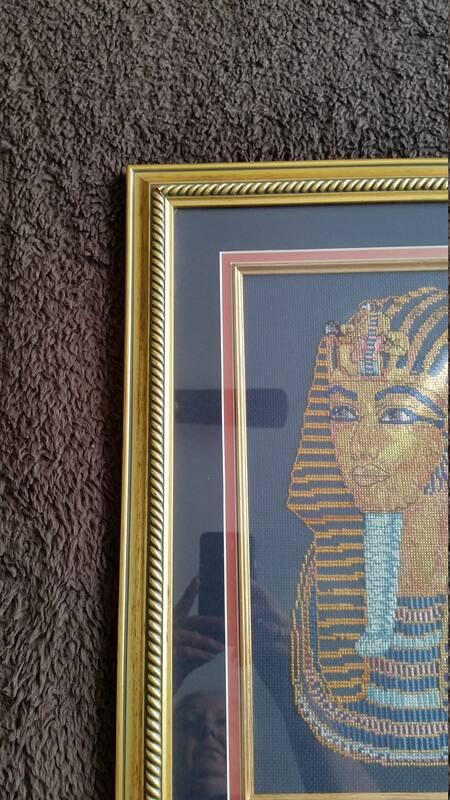 Width of cross stitch alone 25cms.